'Finding Nemo' sequel 'Finding Dory' will be released in 2015. Disney-Pixar have confirmed that a follow-up to the 2003 animated hit will be made, with talk show host Ellen DeGeneres reprising her voice role as the forgetful title character. 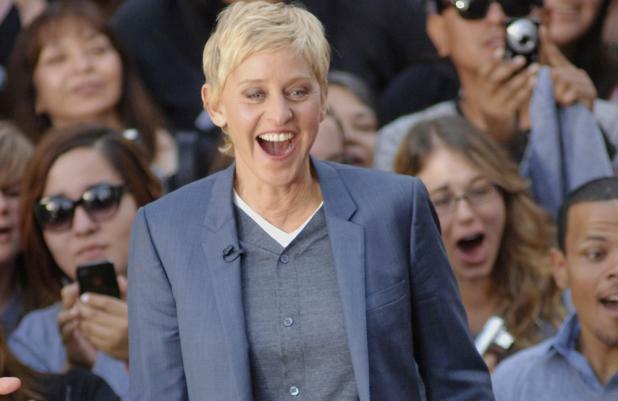 Ellen said in a statement: "I have waited for this day for a long, long, long, long, long, long time. I'm not mad it took this long. I know the people at Pixar were busy creating 'Toy Story 16'. But the time they took was worth it. The script is fantastic. And it has everything I loved about the first one: It's got a lot of heart, it's really funny, and the best part is – it's got a lot more Dory." Dory first appeared in the original movie, befriending Nemo's dad Marlin on his journey to rescue his son, who was kidnapped and placed in a dentist's aquarium. The new film is thought to take place a year after the events of the first and will be set along the California coastline, the animation studio confirmed. Nemo and Marlin will return in the new movie, with the actor voicing Nemo expected to be recast as the original voice actor is now too old for the part. Andrew Stanton, who wrote and directed 'Finding Nemo', will return to helm the sequel. 'Finding Dory' is set for release in November 2015.